Here is the Donaire vs Rigondeaux fight result: Guillermo “El Cachol” Rigondeaux defeated Nonito “The Filipino Flash” Donaire to win by unanimous decision the WBO and WBA super bantamweight title unification bout on Saturday, April 13, 2013. All three judges scored the match in favor of the Cuban fighter, 114-113, 115-112 and 116-111. Rigondeaux, a two-time Olympic gold medalist and the new WBO and WBA super bantamweight champion of the world, improved to 12 wins, no loss, with 8 knockout victories. Donaire, the 2012 “Fighter of the Year” and World Boxing Organization (WBO) Junior Featherweight Champion, has slid to 31 wins, 20 of which are by knockout, and 2 losses. Rigo won the fight even though he went down in the 10th round after Donaire landed a crunching left. He remains undefeated while Donaire suffered his first loss in 30 fights. 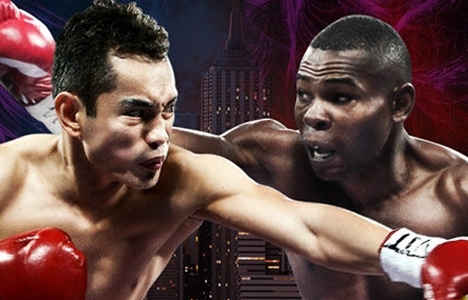 A video replay of the Donaire vs Rigondeaux, held at the Radio City Music Hall in New York, will be shown on Studio 23 later at 4 p.m. today.